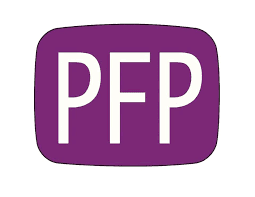 Purple Field Productions UK (PFP), in conjunction with ADD International Tanzania, (ADD) is seeking to recruit an experienced individual with excellent communication skills and a genuine commitment to the welfare of disabled people to implement and run an exciting new community film screening programme to address the stigma and fear surrounding disability. Background Purple Field Productions (PFP) www.purplefieldproductions.org is a small, innovative charity with fourteen years’ experience of working together with people in Africa and Asia in order to produce and distribute educational films in local languages. The Swahili film ‘Lisilojulikana’ was made by PFP in Kenya in 2016 with aim of combating the fear and superstition surrounding children with cerebral palsy, and of thus improving the quality of life not only of the children concerned, but also of their families. The film has had an enormous impact in its country of origin where, with the use of a solar powered mobile cinema, it has now been shown at over 300 community screenings, reached over 30,000 people, and brought support and hope to an enormous number of those affected. In 2017, ‘Lisilojulikana’ won the World CP Day Award for Public Awareness. PFP have now been asked to bring the film to Tanzania, and the project has the support a network of local NGOs based right across the country. The Aim of the Tanzania Lisilojulikana Distribution Programme is to take the film ‘Lisilojulikana’ across Tanzania and use it effectively as a tool for purposes of increasing awareness around issues concerning cerebral palsy and around disability in general. The LSDM will be required to travel around the country, (by public transport), screening ‘Lisilojulikana’ in local communities by means of a mobile solar-powered backpack cinema kit, (supplied by PFP), and thus to bring about an increased understanding of cerebral palsy to as many people as possible. The aim is to reach a total audience of at least 10,000 per annum, and screenings will need to be well-planned in advance to ensure they are in areas where they are most effective. Furthermore, in order to ensure the greatest understanding amongst the audience and best outcomes for those affected, all screenings will be followed by a facilitated discussion amongst the audience. This discussion will be led by LSDM with the particular aim of addressing stigma and developing support for any disabled people living within the community concerned. across various regions of Tanzania. 2. To facilitate post-screening discussions with the aim of eradicating the stigma surrounding disability, and cerebral palsy in particular, and replacing it with support for those affected. reports and feedback on all screenings for monitoring and evaluation purposes. personnel, equipment and funds involved in the local distribution programme. 1. To obtain the necessary screening permission for this film from the Tanzania Film Board. This will involve contacting and/or visiting both COSOTA (Copyright Society of Tanzania) and the Film Board; firstly, to prove that PFP own the content of the film, and then to obtain the distribution license for external content and the certificate of approval for screening the content in Tanzania. PFP will supply all the required papers and funding, but it will be the Local Distribution Manager’s responsibility to submit these as required, and to ensure that a certificate is obtained in time for screening to commence as planned. family, and the support required. effective discussion in a group setting. to take responsibility for the overall management of this assistant. 4. To work with the PFP UK Project Leader to devise an effective plan for screenings, together with an appropriate monitoring and evaluation method and reporting procedures. 5. To research, and liaise with partner NGOs, community organisations and local authorities in order to obtain relevant permissions and to arrange successful screening events. equipment and the successful and secure screening of the film. 7. To act as Facilitator for the post-screening discussions, devising and delivering a format designed to develop concern and support for those affected by disability. To subsequently ensure that any families that report a disabled child are put in touch with those that can provide help and support on a local basis. reports in an agreed format to the PFP UK Project Leader. and account for all monies spent. 10. To take full responsibility for the backpack cinema kit - its security, care and maintenance. Report on the condition of backpack cinema equipment, advising the PFP project leader of any problems, and discuss repairs that may be necessary. Then to undertake or arrange these repairs as agreed. 11. To work within the PFP ethos of honesty, respect and transparency at all times. 12. To undertake any other tasks as may reasonably be requested from time to time. • Some previous experience of health and/or community work. • Minimum 2 years’ management experience. • Experience of working with disabled people and/or other marginalised groups desirable. • Experience of developing and maintaining relationships with a variety of stakeholders; at local, district, and national level. • Ability to keep clear records & to compile reports. • Ability to manage the technical aspects of screening and of a mobile cinema kit. • Genuine commitment to the welfare of disabled people essential. • Self-motivated/enthusiastic and interested in developing the programme. • Ability to take responsibility and work on own initiative. • Ability to work flexibly and a willingness to learn new skills. • Ability to encourage and develop the concern and support of others. • Able and willing to travel widely throughout Tanzania. • Able to carry the backpack cinema. • Commitment to equality and diversity.